The possibility of being completely autonomous, can now create an event and sell tickets when and how you want. Without relying on any external provider and saving a lot of money in commissions. 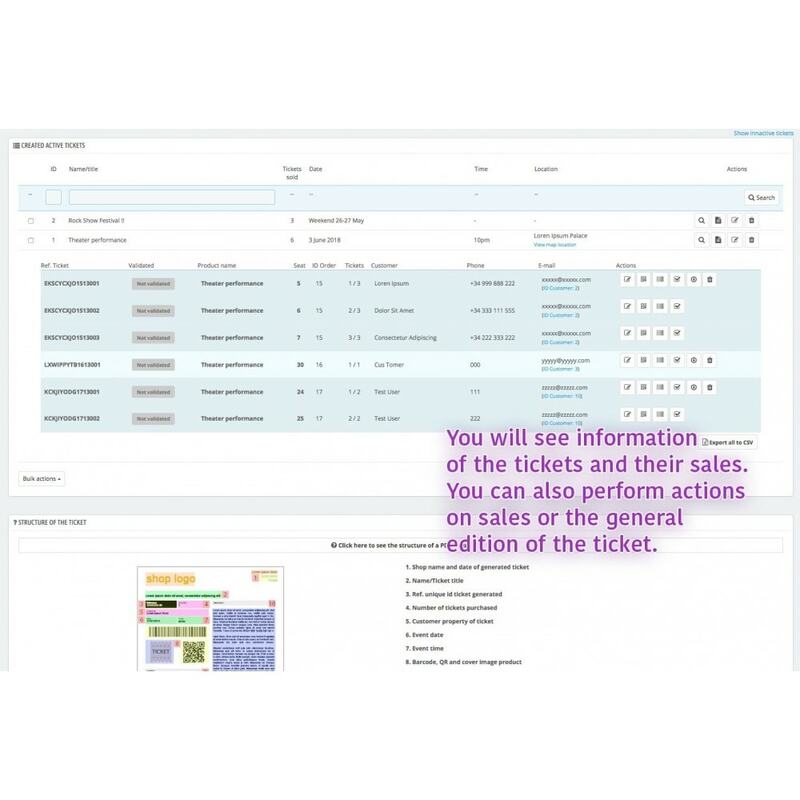 Our module allows you to manage the entire process of selling tickets of different events autonomously and quickly. The entry is generated in electronic format and sent by e-mail, saving shipping costs. Add events more easily from his shop (picture, name, price, brief description, etc.) as any other product. 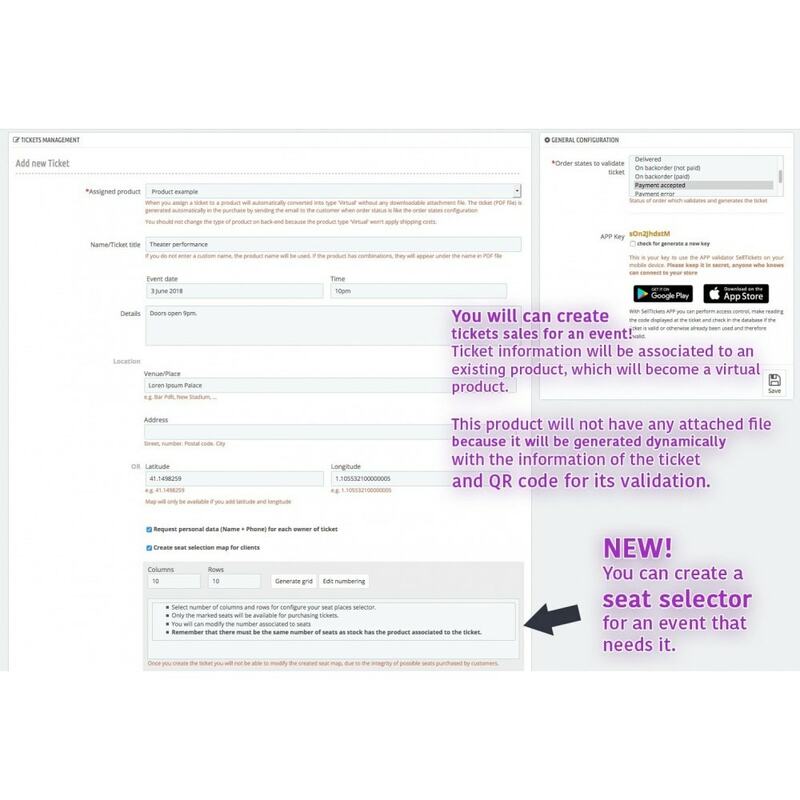 Create a ticket to assign the event quickly and easily. Control of all events and data customers. Query or modify any data without problems. Ability to export the list of tickets sold. 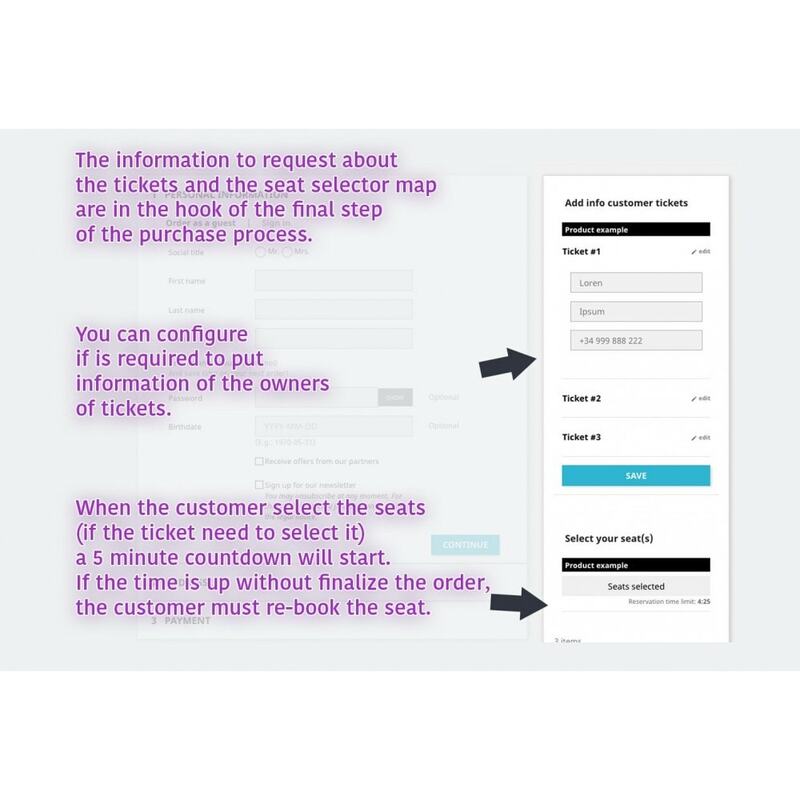 Once the ticket is purchased, a PDF is generated with all necessary information and sent to the customer by email. Ability to modify design template PDF ticket. Available in the following languages: English, French, German, Catalan and Spanish. The module has an external mobile application for reading QR code of the tickets in the access point, and to perform access control. 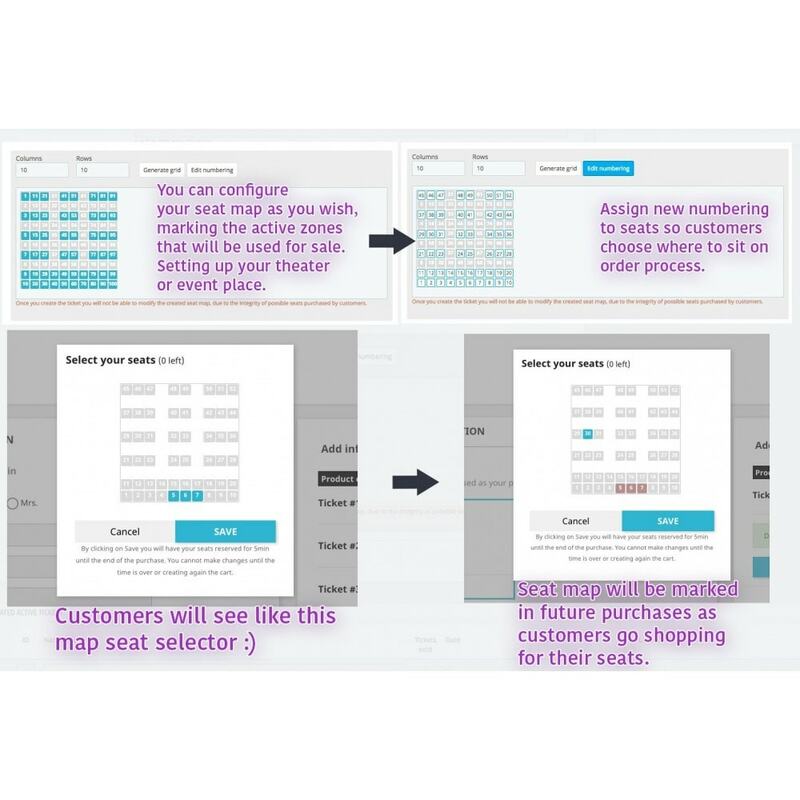 Improve user experience, uniting in a single website the whole process of buying tickets. Ever since I started using prestashop, I have never come across a very reliable support team like these guys before. They can go an extra-mile in helping beginners customize the product in some areas. Very interesting module. Very professional developer, easily reachable. Great post-sales attention and well coded module. Definitely the best tickets module in Prestashop store ! The main module folder must step into "modules" root directory using FTP or upload the archive in Prestashop Module Manager. Once you loaded and installed on your setup to start using the module. You have at your disposal in the "documents" folder all the information necessary for correct use of the module. Patch to create virtual products with combinations of attributes, for tickets that need different prices. Available for Prestashop 1.7.x. and 1.6.x.